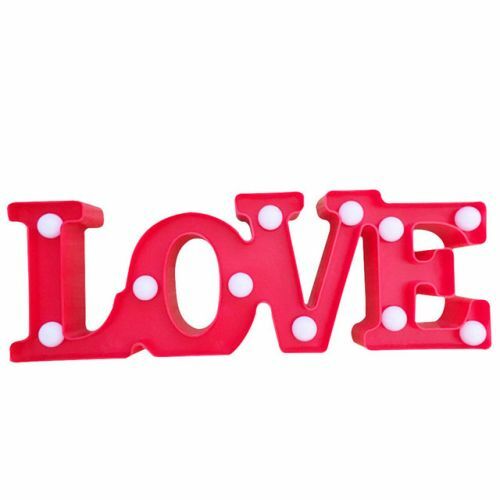 3D marquee LOVE lights, in brilliant LED brightness - these really set the scene at your wedding, bridal shower, or any other event where you're feelin' the love! These are battery powered (not included) and stand around 4" tall and about 12" long. They are self-standing too so you can place them anywhere. Two color choices in white or red backgrounds. Note the price is for one sign, either the white or the red. CHOOSE YOUR COLOR ABOVE & CLICK ADD TO CART! Note: Our standard delivery times can be found under "Shipping & Returns". However, we know what its like planning your big day - don't leave things till the last minute; please allow up to 3 weeks for delivery, just to be on the safe side!